Before giving you my selection for the best children Christian book series for kids who are early readers (published by the ZondervanKids division partnered with “I Can Read”), I will first tell you about my family’s shared reading at home. When my children were little, we loved reading Biblical stories, such as the Creation story from The Beginner’s Bible, and we also loved watching the video version. 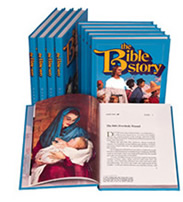 The Beginner’s Bible has more than 90 different stories. It has a hardcover and it’s bulky. It is also published by Zondervan. We also read stories from other reading materials with Biblical values for youngsters. When my daughters were at a very early age, I was always on the hunt for kids’ books and magazines with language that was easy for them to understand. Since they had no ability for reading the letters and words, I picked reading materials that had lots of pages with colorful and attractive illustrations. We did share reading. I read stories to them and they intently listened and looked at the pictures in the book(s) with so much interest. I read to them during our family morning and/or evening worships. Do you do family worship? The other day, I read a devotional about the importance of having family morning and evening worships with the little ones. You can read it here and find → tips on how to do the family worship with them. While I was reading the stories to them and as they looked at the pictures, they were learning to read. They never got bored of hearing me reading the same story. In fact, they usually chose their favorite story that they wanted me to read. After several times of rereading the stories to them, they were able to retell the stories by reading the pictures. My children never went to preschool and kindergarten classes. When my eldest’s first grade teacher learned that my daughter had never been in preschool or kindergarten, she was so concerned and worried about the reading level of my daughter. When my daughters went to school, they never had problems in learning to read — by God’s grace. And in fact, they loved going to school. They looked forward to it and they didn’t want to miss school. They would cry if they were told that they were going to miss school. And also, both of my girls are book lovers. I think children who love to read will love going to school too. It was never in my mind that I was reading them stories so that they would love to read. And I never taught them reading either as I read the stories. We are truly blessed of the knowledge they got. My purpose of reading to them was to learn about God and learn to be at their best. Do you want to know how we did the shared reading? Earlier, I mentioned that we did our shared reading during the family morning and evening worship. Of course, as a Christian, we started with a short prayer inviting God’s presence and asking for His wisdom, understanding, and guidance. My youngsters sat right beside me so that they could see the illustrations. Then we had interaction time: questions and answers. While I was reading the stories to them, I never pointed my fingers to the words. They were so focused on listening to me and looking at the illustrations. The illustrations helped them understand what they are hearing. When we were done, we closed with a short prayer, thanking God for His word and asking for His blessings and protection for the day (or night). The next worship time, they picked the book and loved to hear that same story again. It’s okay to re-read it. They learn from repetition. 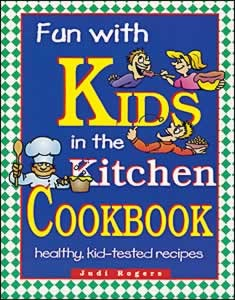 The Zondervan publishing company has a product line for the young ones known as ZonderKids. They have an “I Can Read” Series that feature different booklets from various authors and illustrators for the different reading levels. Each story booklet has 32 pages and are softcovered. They are not bulky; so kids can take the books along with them. 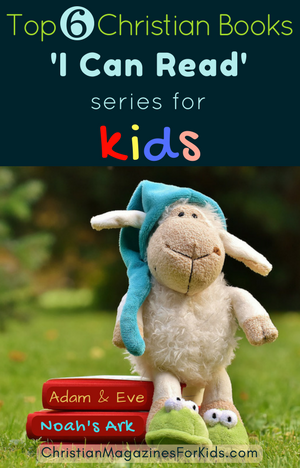 From reading this series, your child will start to love to read. These booklets will also nurture the kids’ spiritual development. “My First” is a Shared Reading level which is perfect for 3- to 5-year-olds. The booklets in this selection have very simple words, lots of repetition, and whimsical illustrations. It’s great for those who have just started learning to read. The Beginners Bible “My First” is very helpful for the little ones who are in this level. The Level 1 selection is excellent for Pre-Kindergarten to 2nd Grade. At this level, the young ones will learn to sound out the words and read short sentences with familiar words and simple to understand concepts. The Level 2 selection is great for Kindergarten to 3rd Grade. 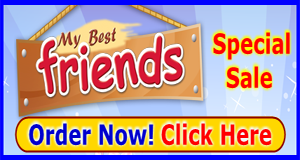 In this level the young readers will learn to read engaging stories with longer sentences. In customer reviews, parents have rated these booklets highly because they are delighted to see that their youngsters are learning and loving to read. Below are a few samples of the “I Can Read” booklets from Zonderkids for different reading levels. They are available at Amazon where you can find more selection of the series .